The thought about returning home after a stay in any hospital or clinic is most endearing to any patient. Whatever the nature of the illness or the condition of the patient, it is both more cost-effective and reassuring for the family to get the patient back home, in the comfort of the known and emotionally connected environment that a home provides. But it is better said or wished than done. It’s a daunting task to care for the sick and dependent patient at one’s home, while also being attentive to the patient’s recovery and providing her with ample support to pursue normal activities. So, in comes healthcare agencies that provide capsule packages for home health care depending on the type or severity of the condition. In a city like Dubai this is especially true for expat families who are mostly two members and with or without children. So, it’s not possible for one of the partners to take a long break from office and even if one is able take that, taking care of children at home as well as caring for the sick one is not a possibility. And if an elderly person needs such medical attention and care at home, it is all the more imperative to get professional home health care services to provide care and nurturing support to elders who are often more sensitive than not. Plus, there are certain conditions like Parkinson’s disease, diabetes or Alzheimer’s disease require specialized care from trained medical nurses in home. 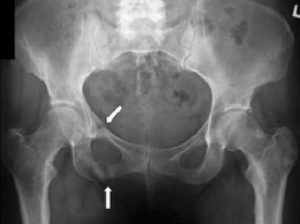 Case Analysis and Patient Coaching: The foremost thing is to take in stock of the situation and analyze the patient’s case and design a tailor-made template for her. An advanced health care agency must also ask relevant questions to the patient party to understand the basic environment at their home and derive a fair idea about their lifestyle before designing a package for them. It also helps to coach the patient beforehand to break the ice and make him mentally sign up for the upcoming process and set health goals together in order to keep her motivated. Trained Nursing Care: All-round in-home nursing services must include maintaining daily log of the patient’s vital parameters, signs and symptoms as well as proper management of such symptoms and preventing further complications. Elderly Care: This is a major area which requires not only medical proficiency but a positive body language and attitude and a sensitive behavior as elders are susceptible to loss of self-esteem in such situations. A well-mannered home care nurse should be able to make a patient feel comfortable while assisting them with day-to-day activities and private rituals as well as self-grooming. Daily home elderly care services include assisting with daily living, dispensing of medication, diet monitoring, helping with movement and prevention of bed sore, as and when applicable. Palliative Care: Specialized home palliative care is an important part of home healthcare services as this form of alleviation and soothing of pain makes the journey of life more bearable for patients suffering from terminal illnesses. This also involves a psychological tuning as one needs to spread a message of positivity as far as possible while respecting the patient’s dignity and stay true to medical supervisions. Cancer Patient Care: Cancer patients require specialized care and medical attention as a slight change or unwarranted move might disturb their process of recovery and sense of equilibrium. Holistic healthcare for cancer patients at any stage also require an alert and active trained home care nurse. Home Physiotherapy: In-home physiotherapy services are vital for patients recovering from sports injuries, accidents, acute sprain, muscle tear, stiffness of muscles or specific conditions like Carpel Tunnel, tennis elbow etc. In-home Home physical therapy, massages and exercise modules are required to meet the varied needs of patients suffering from such conditions. Maternity and Infant Care: Stay-at-home maternity care nurses are required by most families post childbirth for optimal postnatal care that includes assisting the new mother with lactation, breastfeeding and providing her ample rest such that she can recover fully. 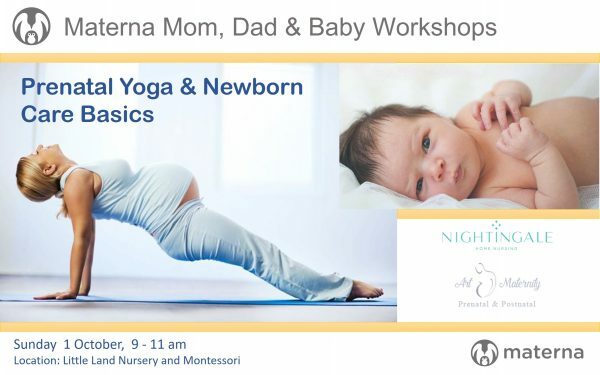 Monitoring the baby’s feeding and sleep cycles as well as helping parents adapt to the multiple needs and moods of babies is a process that home care maternity nurses attunes them with. Alzheimer’s Disease Care: Conditions like Alzheimer’s disease require round-the-clock monitoring of not just the patient’s day-to-day activities but also engage her with mental activities like word games and number games and thus help them not to sink into a psychological loop. Plus, such patients often require attention for going out. 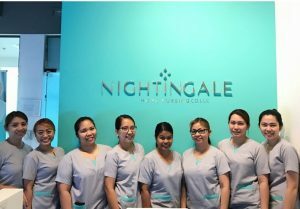 In Nightingale Dubai, we have home healthcare nurses with strong credentials and with a proven track record of having handled delicate medical conditions. We provide sustained home healthcare service packages that take care of the patient’s unique condition. We mutually set recovery goals with patients and their families. And our home nurses are able to take care of both mild, acute and terminals illnesses.